There are many reasons why people want to sell their house. Maybe you have listed your house with a Realtor in the past and it just sat on the market without selling. Maybe you have a vacant or abandoned property that you inherited. Maybe you do not have the funding to make necessary repairs to sell your house on the retail market. Maybe you are paying two mortgages. In any case, we would like to talk to you about the possibility of buying your property. 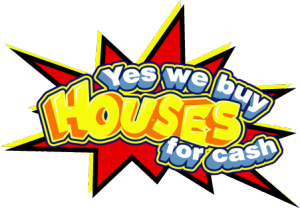 We are usually unable to pay retail prices for the houses we buy, but we will not ask you to make any repairs, plus there are no real estate commissions. List it with a Real Estate Agent for $130,000. You are making a monthly mortgage payment of around $950. For 4 months your agent has to disturb you to show your house to potential buyers, inspectors, etc. Finally, after 6 months your agent finds you a buyer who is willing to pay $125,000 (if you are LUCKY) but they ask you to pay all closing costs, commissions and the inspector wants you to upgrade an electrical fuse box to a breaker box ($1000). Now lets break down the cost to you to sell your house. This means it cost you almost $25,000 to sell your house to a Real Estate agent and it took you 6 months to get your money. You call an Investor like myself and I come out and look at your house. I tell you up front that I rarely pay retail prices for houses, or I would lose money and not be in business. I look at your house and tell you that I will pay you $95,000 for your house and that I will close within 2 weeks. You will have your money in 2 weeks and you can move on with your life. Option #1 is a great option if you have time, you are not in a hurry and you don’t mind waiting for you house to sell. You may even sell your house sooner than 6 months with an agent, or it could take much longer (costing you more). There are many good Real Estate agents out there who will work very hard to sell your house, but even the best agents have no guarantees. If you do not have time to wait and hope that your house sells, and option #2 sounds good to you, call us today at 205-841-9757 or fill out the form below!